Metal Gon is a metal sequestering agent spa chemical that is useful in a few specific moments in a spa's lifetime. For any spa under 600 gallons, you'll add one bottle of Metal Gon when the spa is filled for the very first time. Then you'll repeat the procedure when the spa is emptied and refilled. Metal Gon is a preventative spa chemical that works to keep your water clean and clear of rusty, brown, black and green spa water imbalances. 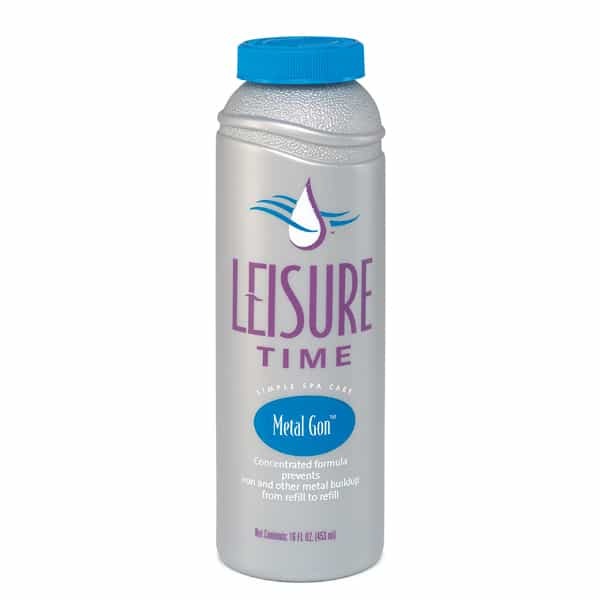 Metal Gon sequesters iron, copper and other harmful minerals to keep your spa or hot tub water clear, and spa equipment and surfaces free of rust and damage. When it comes to spa and hot tub maintenance, the right chemical used in time will save you from later using nine. Only needed when spa is filled for the first time and each time spa is drained and re-filled.